Athena Lamnisos, CEO, The Eve Appeal, writes a letter to the Telegraph. 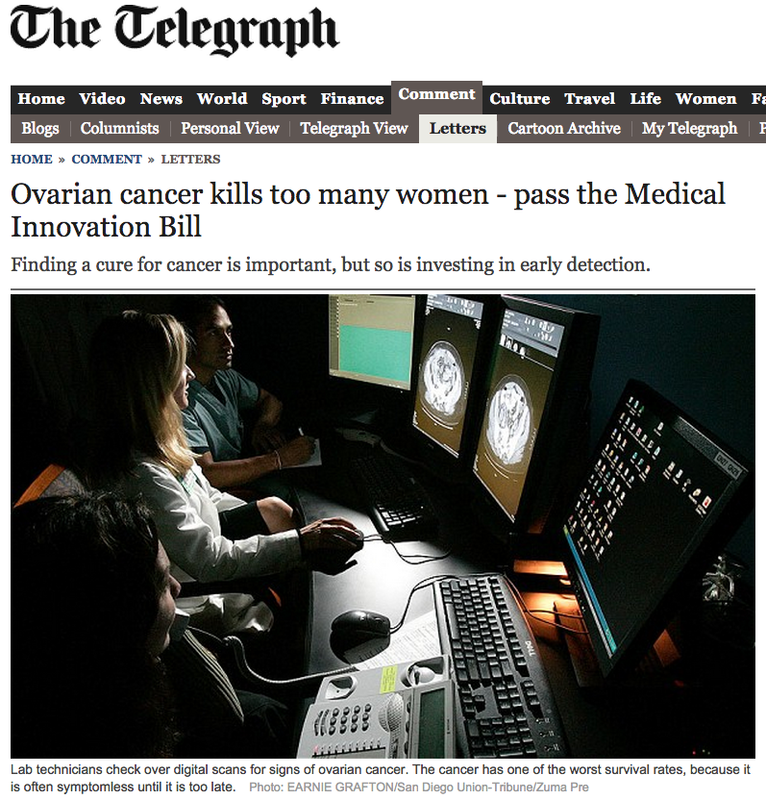 SIR – The Medical Innovation Bill reaches a crucial committee stage in the House of Lords today. Spearheaded by Lord Saatchi, whose wife died of ovarian cancer – a disease he quite rightly describes as “relentless, remorseless, merciless” – the Bill will make it easier for dying patients to access untested drugs and treatments. The statistics for ovarian cancer are woeful: the number of deaths has barely changed in 30 years. So, unquestionably, something needs to change dramatically. Innovation in treatment is important, but with gynaecological cancers it is innovative research into risk prediction, prevention and earlier detection that is going to make the most difference and save more women’s lives. The statistics for cervical cancer are astounding by comparison: there has been a 70 per cent decrease in deaths over the same 30-year period thanks to advances in screening. Investing in finding a cure for cancer is important, but we shouldn’t ignore investing in earlier detection.